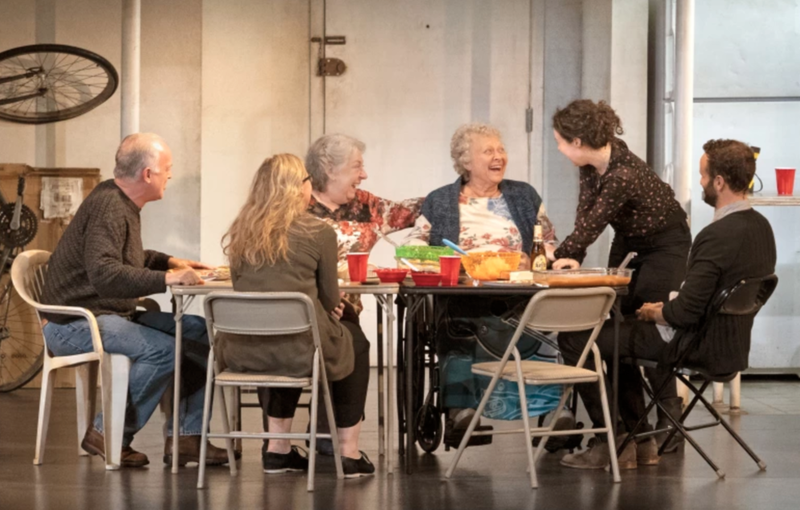 L-R: Reed Birney, Cassie Beck, Jayne Houdyshell, Lauren Klein, Sarah Steele and Nick Mills in “The Humans” at the Ahmanson Theatre presented by Center Theatre Group. Written by Stephen Karam and directed by Joe Mantello, “The Humans” will run through July 29, 2018. For tickets and information, please visit CenterTheatreGroup.org or call (213) 972-4400. Press Contact: CTGMedia@CTGLA.org / (213) 972-7376. Photo by Lawrence K. Ho. 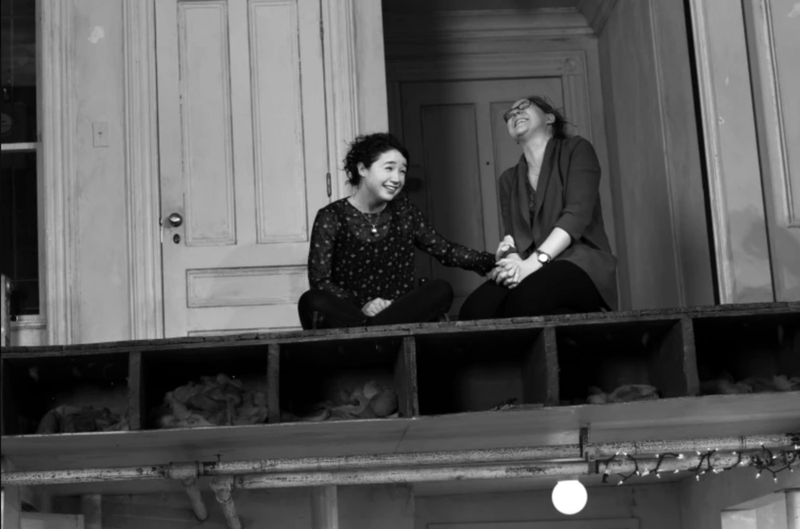 Tony-Award wining play, The Humans, makes its way to the Ahmanson Theater. The play, which has won many accolades, is beyond praise-worthy an just a dose of 'realness' we need. Created by Stephen Karam, and directed by Joe Mantello the hopeful yet heartbreaking play creates the perfect amount of friction and puns which makes this play all too relatable and successful. Angelenos are in for a treat as the show features original Broadway cast members including Tony Award winners Reed Birney and Jayne Houdyshell, in addition to Sarah Steele, Cassie Beck, Lauren Klein, and Arian Moayed. Following the lives of a family who gathered for Thanksgiving dinner. The two daughters, living their own lives, and a mix of plot twists, unsatisfactory scene stealers that even the utmost keen sense of humor couldn't deny. IT's a play about family dinner, too much booze, and secrets coming to the forefront. For example, one of the daughters is in a new living arrangement with her love interest. The lac k of marriage and stability isn't in complete agreement with her family and sheds light on the undertones of the real issue. Through love, sickness, and health, The Humans reminds us that we are all just - Human! The Humans is at the Ahmanson for the next few weeks and is just the mid-week reboot you'll need - no wonder it won the 2016 Tony Award for Best Play! At the end of it all family is what matters and it is what we should all be thankful for. The Humans is reinvigorating and changing the way plays . are viewed from the stage.